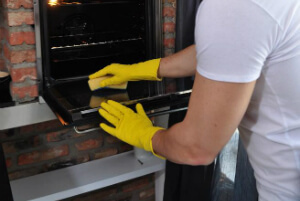 Oven Cleaning Residential & Commercial Kitchen Kensington and Chelsea SW | Quality Property Care Ltd.
Every one needs a fast and reliable professional oven cleaning! Quality Property Care Ltd. offers it at a reasonable price and without any impact on your healthy lifestyle! Don't wait to order your home and office oven cleaning on 020 3746 4287 on every day of the week with no exception for weekends or holidays! 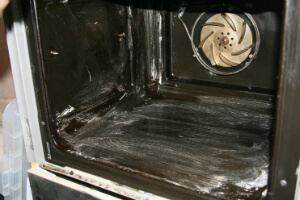 The expert oven cleaners from Quality Property Care Ltd. will first test your oven or other appliance in your presence, and then proceed to disassemble it into parts. The cleaning technician removes all pans, panels, racks, trays, fans, the light protector, control knobs and extractor filters and dips them in a completely safe, professional and efficient cleaning solution for a few minutes. After that all the parts are thoroughly scrubbed with wire brushed and sponges for better cleaning from all the grease, burnt on carbon and grime. They are rinsed off and left to dry. Then the oven is put back together. It is tested again. It can be used for cooking tasty and safe food right after the cleaning. Quality Property Care Ltd. was founded in 2005, and has been cleaning the ovens of people, restaurants and other professional kitchens ever since. The oven cleaners are very carefully picked, thoroughly trained and certified to work with a variety of types and brands of cookers, range cookers, ovens and others. The oven cleaning services are fully insured, and the kitchen appliance or the oven is tested before and after the deep cleaning. A dip tank deluxe method is used to soak all oven parts for a deeper cleaning. The cleaners dismantle and soak and then use sponges and wire brushes to clean panels, pans, racks, trays, fans, light protectors, control knobs and extractor filters from all the grime and dirt, burnt on carbon and residual grease. With our professional oven cleaning services in Kensington and Chelsea SW, you are also free to book sanitising of all your kitchen appliances. You can combine the service with another one from the cleaning services we offer. Thus, you will get a special discount. All regular customers get regular discounts, too. Free your oven from grime and bacteria! Make an order via the online booking form or give us a call today! Receive more information and get a free quote for oven cleaning services in Kensington and Chelsea SW now! Call us on 020 3746 4287 at any convenient time for you and we will organise your effective and fast visit!